Carl Norloff is passionate about using technology to solve business problems. He is founder and CIO of Rheebo, an anonymous social networking space that offers a variety of ways for businesses to connect and engage with customers, as well as with other businesses and even non-profits. “Our platform fosters connections, conversations and learning as a way of creating differentiation and competitiveness,” explains Carl. Rheebo is a SaaS platform startup that enables businesses to not only find and connect with relevant audiences in local communities and beyond, but to convert and leverage them. The benefits Rheebo offers range from interaction with other members of a community or organization, to supporting fundraising and awareness for non-profits, to driving more sales, customer engagement, and customer rewards for local small businesses. 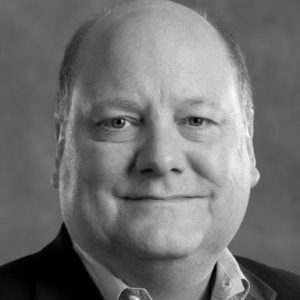 With 35 years of experience in the enterprise technology world, Carl is an expert when it comes to aligning the goals and objectives of business and technology. His interest in loyalty, behavior, and analytics for small businesses and non-profits further distinguishes him as someone who is excited about the possibilities when the right people and organizations connect. With this in mind, Carl’s Treehouse ASK is for seed investors for Rheebo and meeting new businesses to talk strategy. If you talk with Carl, don’t offer him cauliflower, salmon, or Brussels sprouts.